Anything I can do to save money or time for myself and my plant techs, I’m willing to try. Here are four interiorscape hacks I have learned over the years that will help your business run more efficiently. One of my money saving tricks is reusing some of my cuttings. Especially foliage that roots easily. For instance, I have a few buildings that have strong natural light, allowing their atriums thrive. The biggest challenge inside these structures is keeping foliage trimmed back. Instead of throwing those cuttings away or composting, I save certain varieties such as pothos, sanservieria, dracaena, or zambiofolia that can be instantly re-rooted in soil or water. Sometimes, I use those pieces to fill in bare spots at that account or a different one. I create a fuller look without the expense of buying new plants. Other times, I take the cuttings back to the shop and replant them in leftover pots to use for new installs or replacements. 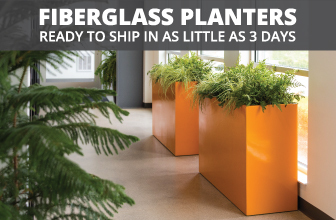 A good example of this hack is when one of my downtown clients decided to add twenty long planters in a newly remodeled cubicle area. 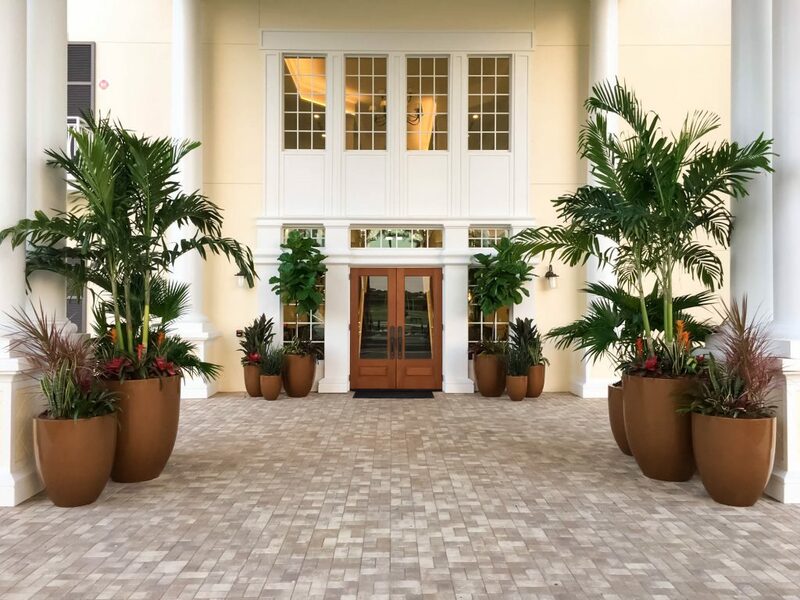 While I had to purchase the new planters, the eighty pots of sanservieria cost almost nothing since I had trash bags full of overgrown sanservieria cuttings from a large atrium and over a hundred leftover six-inch pots from dead poinsettias. I saved over four hundred and fifty dollars for the plants, plus shipping costs. One of the biggest timewasters is waiting while the faucet is filling up your watering can. I call this Dead Time. Dead time increases employee distraction as they text, check social media, or play one of those addicting games. If you have some small accounts where you don’t have access to a deep sink–or a large size account with no extra space to leave a water machine–I would suggest carrying recycled jugs of water in your vehicle. Instead of waiting several minutes to fill up in a bathroom sink or breakroom, I fill my watering can with the water jugs that took only seconds with a hose. I’ve also invested in the cloth carts that can fold up and fit neatly inside any vehicle. This allows any tech to easily wheel around water and supplies without returning to the breakroom faucet and racking up dead time. In one three-story location, I’ve discovered an average of thirty less minutes of service time each week. Multiply that over a year and I save three hundred and sixty dollars in labor costs for one account. 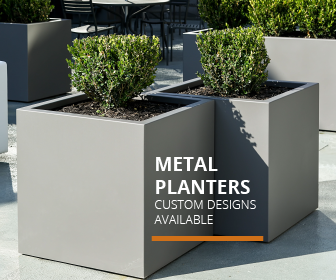 If all your accounts have their plants in one area, that makes servicing a lot more convenient and efficient. I have a few exceptions where the same company has another spot two floors up or one or two executives have offices that are much more secluded from the general area. 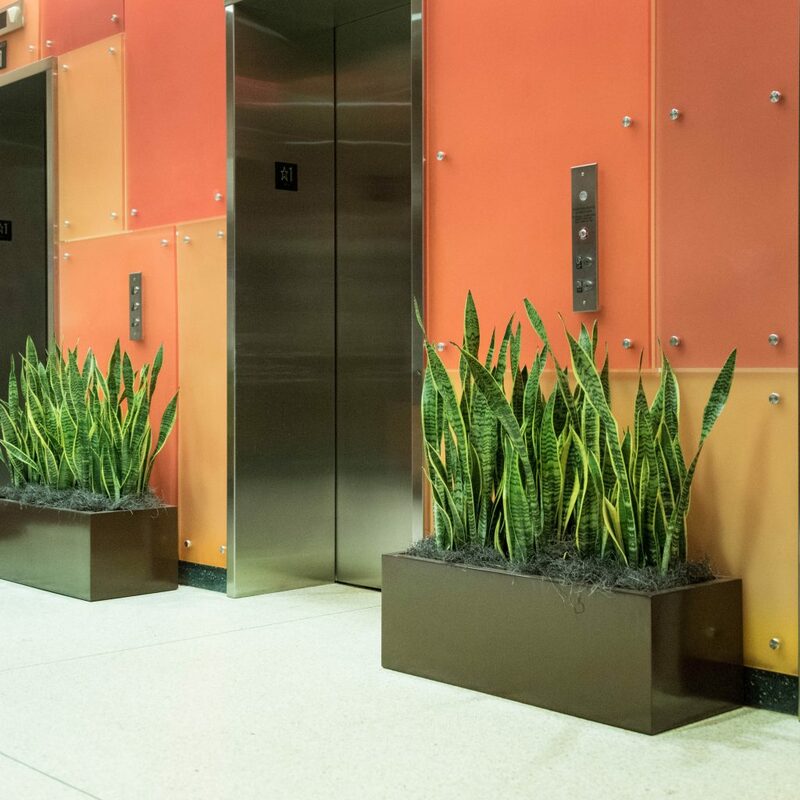 Waiting for an elevator or having to trek down a long hallway for just one or three plants can be time consuming. For these lone plants, I make sure they are drought tolerant and don’t require much maintenance. That way, they can be skipped every other service day. 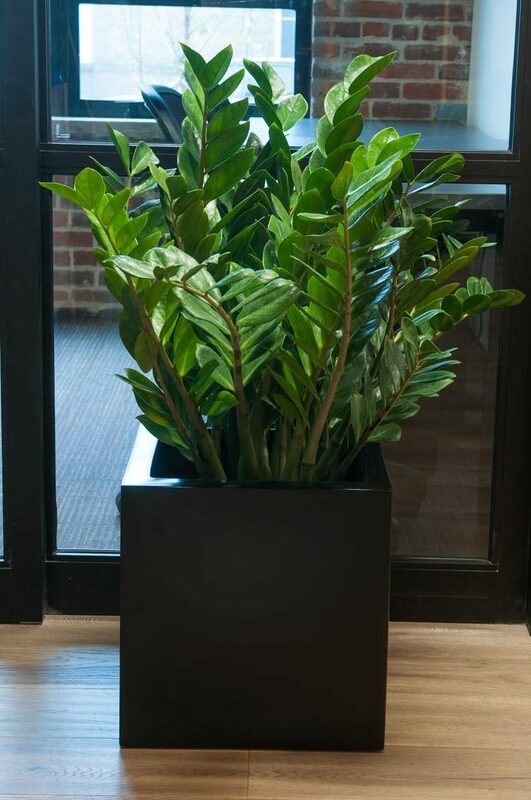 Something like an areca palm will not do well with this kind of attention but a plant such as a janet craig or succulent that is not prone to diseas and doesn’t drop leaves will work well for this situation. Disease control and dusting can be a major time killer. There is nothing more frustrating to me than walking into an account and seeing spidermite webbing covering the top of a palm or layers of dust on a row of lyrata trees. Both issues are tedious and time killers to tackle. Especially trying to remove spidermites, since you need to attack them from both sides of the leaf. Misting leaves with a spray bottle is quick but inefficient. It’s difficult to get all sides covered without leaving ugly water spots on nearby windows, creating slippery floors, or accidently misting someone nearby. What I like to do is take two oversize mittens and saturate them with soapy water. If the mites are really bad, you can do the same with a pesticide with latex gloves underneath for protection. With the two damp mittens, I run my hands along each side of the leaf or frond. This way, I remove the mites that tend to hide on the underside of plants and the mite webbing from the top. This technique helps to prevent delicate leaves from getting damaged, since you are supporting the fragile foliage from both sides. I cannot tell you how many beautiful lyrata leaves I’ve ripped from not supporting the entire paper-like foliage. Protect your trees – use mittens.